This is my first Lucy Clarke book (I have no idea where I have been either) and can I say I was just totally blown away by this book. Can you believe I only accidentally come across it at the library. 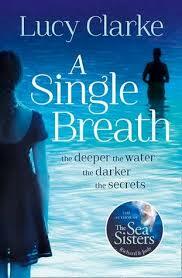 I have already been and got Lucy’s first book The Sea Sisters in my TBR pile and trust me I will be doing this soon. What a fantastic discovery Lucy is.